Leading Web Hosting Provider in India Since 2012. Windows Hosting Recommended for websites built in ASP, ASP.NET and MSSQL. Domains Register, transfer, renew domains at MilesWeb. 40% OFF Host unlimited websites within given resources. WHM and cPanel control panel included. 30% OFF Host unlimited websites within given resources. Plesk control panel included. Free WHMCS Unlimited space and bandwidth to host limited websites. Plesk and WHMCS license included. Reseller Marketplace Buy reseller add-ons at discounted price. Linux VPS Hosting Best Seller Fully managed Linux VPS powered by DigitalOcean for the best performance. Windows VPS Hosting Fully managed Windows VPS powered by Amazon cloud for the best performance. Managed Jelastic PaaS Free Trial Cloud platform for Developers with built-in DevOps tools. Our Clients Trusted by 10000+ happy customers worldwide. Events List of events sponsored by MilesWeb. Losing important website data is one of the biggest nightmares any website owner can have! Creating regular backups of your website is the best thing you can do to safeguard your website data and to avoid website downtime. If you have set up regular backups of your website, you will have more peace of mind and also you will be safe in catastrophic conditions where your website is hacked or is inaccessible. If you are using WordPress, backing up your website data is an easier task because there are many free and paid WordPress backup plugins that are highly effective and easy to use. Important tip : Many web hosting companies provide the option of regular website backups, but it is your responsibility as well to backup your website. In this way you will have your own website backups in place instead of completely replying on the web hosting company. UpdraftPlus is a free WordPress plugin that enables you to create complete backup of your website. You can either store your website backup on the cloud or you can download it on your computer. You can select the files that you would like to backup and this plugin provides support for scheduled backups and for on-demand backups as well. UpdraftPlus automatically uploads your backups to Google Drive, Dropbox, FTP, SFTP, email or any other cloud storage service. This plugin also has a premium version that comprises of add-ons to migrate or clone website, enable database search along with multisite support. If you use the premium version, you are also entitled to support services. The WPBackItUp plugin is a free WordPress plugin that safeguards your website against the hackers, host outages, malware etc. 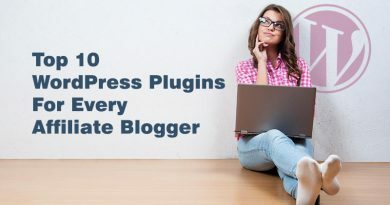 This plugin literally creates backup for every post, comment, setting, theme, media files and the backup can be uploaded and restored with just one click. WPBackItUp creates compressed backups of your website; therefore, no matter how big your website is, you can easily download the backups from your WordPress dashboard. This is the most widely used, tested and reliable plugin. If you are using this plugin, you get professional support. The premium version of this plugin provides more attractive features and flexibility. The BackWPup plugin can be used for saving your complete installation including the content in /wp-content/ folder and push the backup to any external backup service like FTP, S3, Dropbox etc. This plugin enables you to restore an installation with a single .zip file. You can optimize the database and check and repair it. The premium version of this plugin provides better features along with the support option. This plugin creates WordPress backups and restores them to or from the local storage or uploads the backups to Dropbox. If you prefer using Dropbox for storing your important files, then this is the most appropriate plugin for you as it provides easy and secure Dropbox backup and restoration for website. This is a bug-free plugin and through this plugin you can secure, backup and restore all your projects like website, blog, online store etc. BackupGuard is a full-fledged website backup and restore plugin that offers the simplest way to backup, restore and migrate your website. With this plugin you can backup and restore files, databases or both. There is a paid version of this plugin as well that is perfect for a smooth website migration. No additional libraries are required for the functioning of this plugin and it provides support for large websites as well. The best thing about BackupGuard is that it works perfectly in low memory and shared hosting environments. Backup WD is one of the most efficient and widely used WordPress Backup and Restore Plugin. This plugin is easy to use, full fledged and free. It enables you to backup your complete website including files and database tables within a short span of time with just a few clicks. You can securely backup your website and automatically store the backup to any desired cloud storage. This plugin supports automation abd scheduling and you have the liberty to decide when to schedule your website backups. With the BackUpWordPress plugin you can backup your entire website along with your database and website files. You can schedule the backups to whatever time suits you. This plugin needs PHP version 5.3.2 or later. The backups generated with this plugin are stored in the /wp-content/backups directory and you can also change the directory if needed. Translations for Spanish, German, Chinese, Romanian, Russian etc. I believe in creating enriching content that is readable and interesting. I work on content related to web hosting, SEO, Ecommerce and social media. Putting things across with the power of words and crafting useful content are my prime objectives. 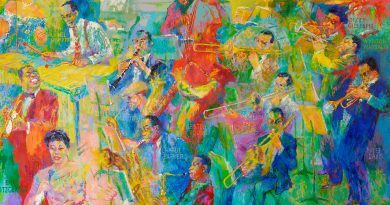 Top Ten WordPress themes for Artists such as Musicians,Painters and Other Creative. 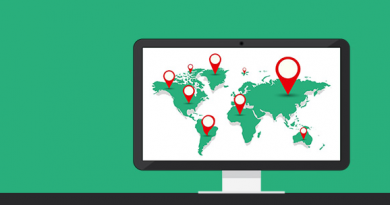 Do You Need A CDN Service For Your WordPress Website? Backup of data is important for the website owner. I have started my new website and daily reading this type of articles that is useful for the website. List of plugins consists of features and links that will help to select the best plugin for the website. Thank you!! I am using BackUpWordPress plugin for my website and I will suggest to everyone because its features are best as it the backup of entire website and translation is the best option and makes easy to keep data in multiple languages. MilesWeb Summer Sale Is On! Eza on Why Affiliate Marketers Get Only Clicks But No Conversions? Copyright © 2012 - 2019 MilesWeb Internet Services Pvt Ltd. All Rights Reserved.